Vega is the brightest of the three, and in late summer / early fall, it's pretty much straight overhead around 9pm. 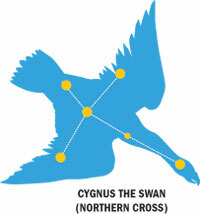 The easiest constellation to recognize in the summer sky is Cygnus, with its fairly bright star Deneb (at the Swan's tail). In some stories, Cygnus represents Zeus turned into a swan to seduce Leda, a Queen of Sparta, who gave birth to Gemini twins and Helen of Troy. Alternatively, you can see it as the Northern Cross. 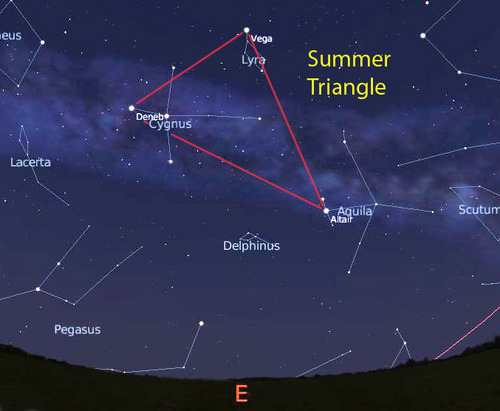 During the summer, the Milky Way stretches overhead, through the constellations of Aquila and Cygnus. Remember the Milky Way is our view of our own galaxy from the inside. 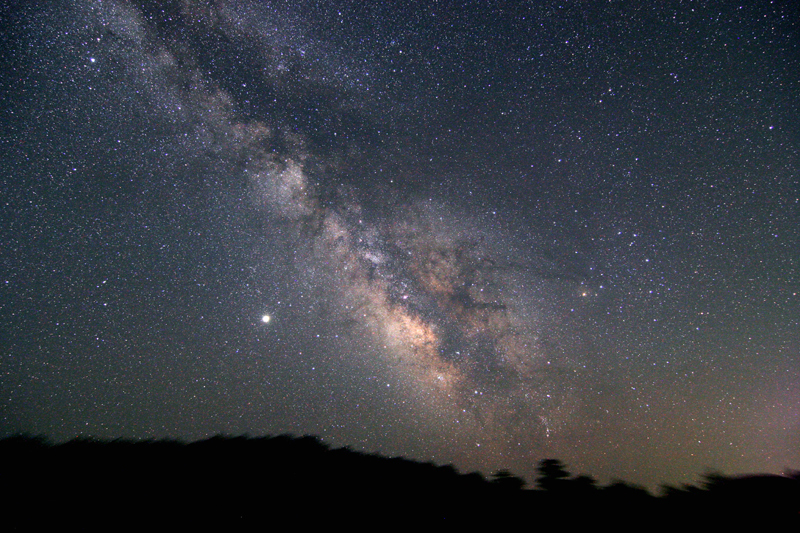 Grab a pair of binoculars and scan the Milky Way! If you have a dark sky, follow the Milky Way down towards the southern horizon. Here, the Milky Way is at its brightest, laced with dark dust clouds -- we are looking directly towards the center of our galaxy! 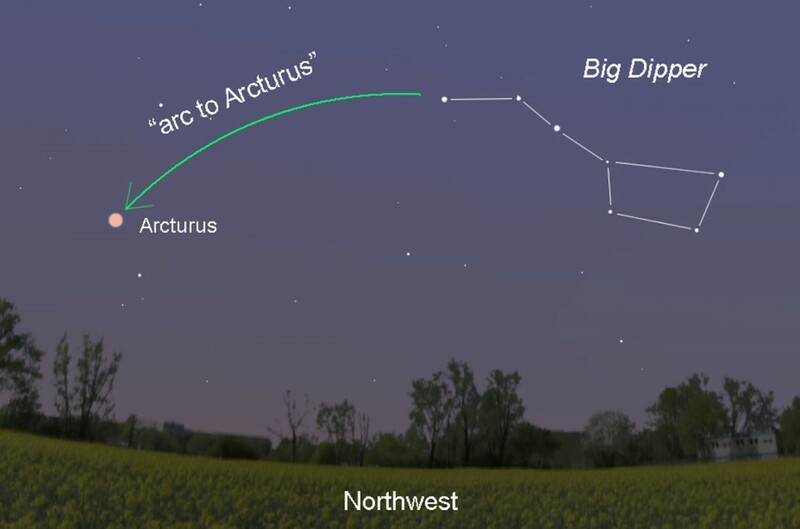 Also to the south, you can see the bright star Antares (an-TAR-eez), the heart of Scorpio, the scorpion. Jupiter can be found setting at sunset, very near the southwest horizon. Saturn is low on the southern horizon at midnight. Venus will be rising in the east, very brightly, just before sunrise.